Talk to any sports fan and mention the word “World Series” and they’ll reminisce about peanuts, cracker jacks, hot dogs, and the crack of the bat. But if you mention the same two words to any gambler are card game fan? They’ll immediately think of Vegas. We’re talking, of course, about the World Series of Poker. Unlike the baseball series that sees the two best pro baseball teams go head-to-head in a best-of-7 series, the World Series of Poker is several months of poker action featuring dozens of poker tournaments and well over a hundred million in prize money. And unlike its MLB counterpart, the World Series of Poker is open to anyone with the cash to spend. While the World Series of Poker is actually a series of events that runs for several months in the summer, the most sought-after title is that of the World Series of Poker Main Event. Last year’s tournament saw 6,683 players compete for a top prize of $10 million. We’ve definitely come a long way since 1970 when the first WSOP featured 7 poker players and the winner was decided by a vote. We’re serious. Here’s a quick history of the WSOP. 1970 -> The very first WSOP Main Event features no buy-in whatsoever. Seven players are invited to the tournament. Johnny Moss is voted the winner. 1971 -> The WSOP changes structure. This year features preliminary events of $1,000 and Main Event of $5,000 with a freezeout structure. 1972 -> The 3rd installment of the WSOP sees the biggest change with a Main Event now featuring a $10,000 buy-in, which would become the standard for all WSOP Main Events moving forward. This year, we see 8 players playing in the Main Event. First place received $80,000. 1991 -> For the first time in WSOP history, the prize pool for the Main Event reaches $1 million. A total of 215 sit down to play in this one. 2003 -> An online poker named Chris Moneymaker (yes, his real name) wins the WSOP Main Event, topping a field of 839 players to earn $2.5 million. This year is significant because Moneymaker won his seat through an online qualifier at an Internet poker site. His story sparks huge interest in the game and the Internet poker boom starts to explode. 2004 -> Just how big was Moneymaker’s influence? The 2003 Main Event featured 839 players. In 2004, we see 2,576 players vie for the top prize. 2006 -> Considered the height of the poker boom, 2006 sees a whopping 8,773 players enter the Main Event. Jamie Gold wins the poker tournament for $12 million. No other Main Event since has come close in terms of numbers and prize money. 2007 -> The first WSOPE event is held across the pond. That’s World Series of Poker Europe. Annette Obrestad wins £1,000,000. She became the youngest player to win the WSOP Main Event at just 18 years old (actually, she was just one day shy of her 19th birthday, but who’s counting?). 2008 -> To build excitement for the WSOP, play is paused at the Rio in Las Vegas once the final table of nine players is reached. Play resumes on November 9th to crown the winner. 2015 -> That’s this year! 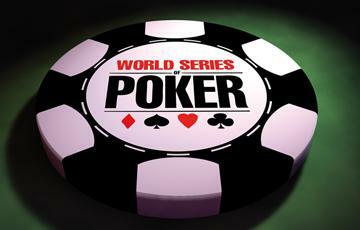 The WSOP returns to the Rio All-Suite Hotel & Casino in Las Vegas from May 27th to July 14th. The Main Event kicks off on July 5th. Who knows? Maybe this year you’ll be the champion and make history.